The Frequency Extension series will expand your existing Vector Network Analyzer (VNA) capabilites so you can conduct industry leading millimeter wave S-parameter measurements between 40-325GHz. These frequency extension modules connect to your existing test ports and leverage the inherent microwave network analyzer's performance and features to display full port S-parameters: Two measurement architecture available: 1-path/2-port and fully reversing 2 port. 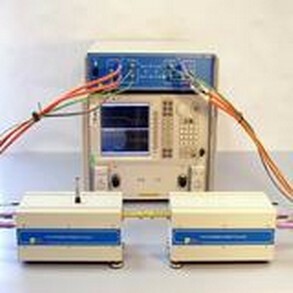 Waveguide calibration kits are available as seperate accessories.